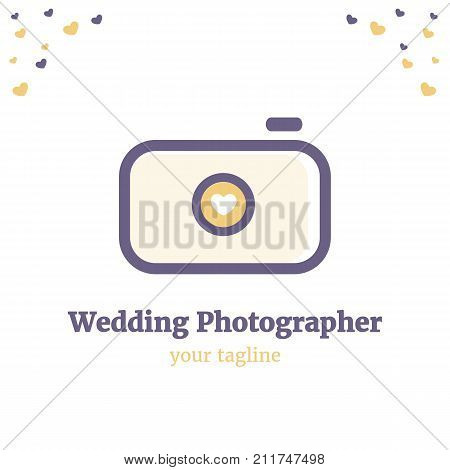 Vector logo template for wedding photography. Illustration of camera with heart on the lens in purple and yellow colors. EPS10. Creative and cute logotype design for girl-photographer.